Thistle landslide and “Thistle Lake,” 1983. Geologic Information: Many readers, but not all, will have vivid memories of the most costly landslide to date (2005) in U.S. history. How long ago did the Thistle landslide occur? It has been 22 years. For reference, if you were born when the slide began to move in April 1983, you might be graduating from a university this spring. Whether you were there or have only read about it, the slide and remains of the destruction it left behind are worth a look. 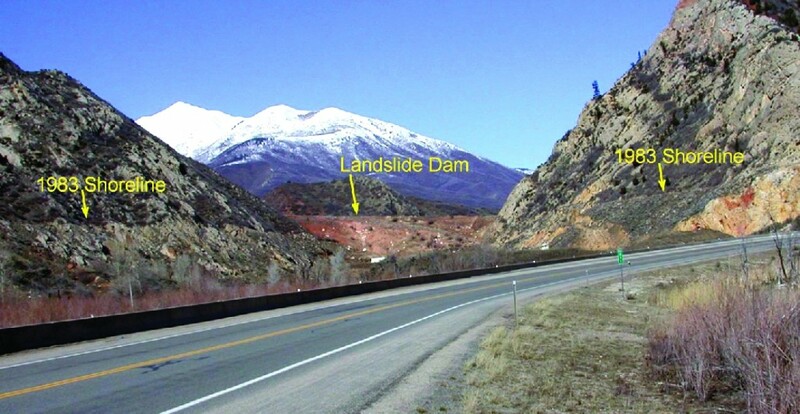 Record-breaking precipitation in the fall of 1982, followed by a deep winter snow pack, then warm spring temperatures and rapid snowmelt in 1983 set the stage for the Thistle landslide. 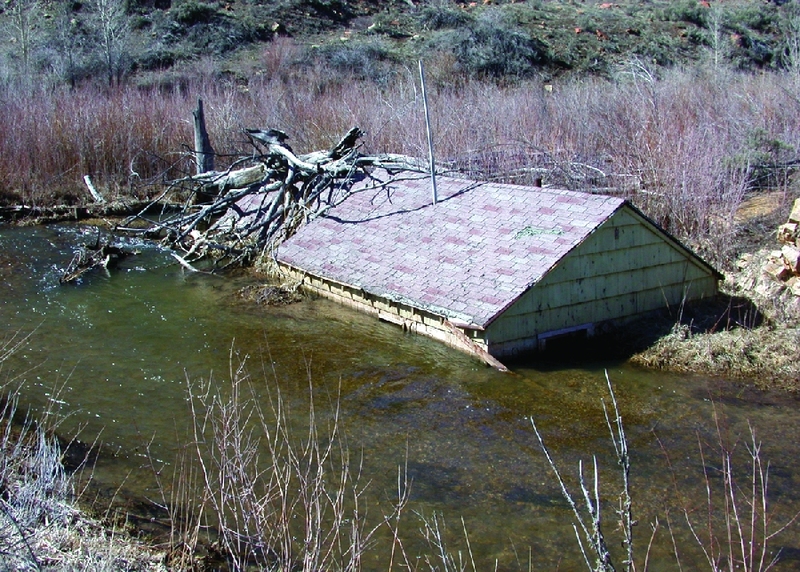 Once triggered, the slide reached a maximum speed of 3.5 feet per hour and dammed Spanish Fork River within a few days. 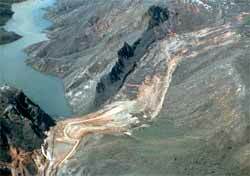 The landslide ultimately reached 1000 feet in width, nearly 200 feet in thickness, and over one mile in length. The lower end of the slide formed a 220-foot-high dam where it abutted against a sandstone cliff at the base of Billies Mountain. Behind this dam, “Thistle Lake” reached a maximum depth of 160 feet before being drained by diversion culverts. 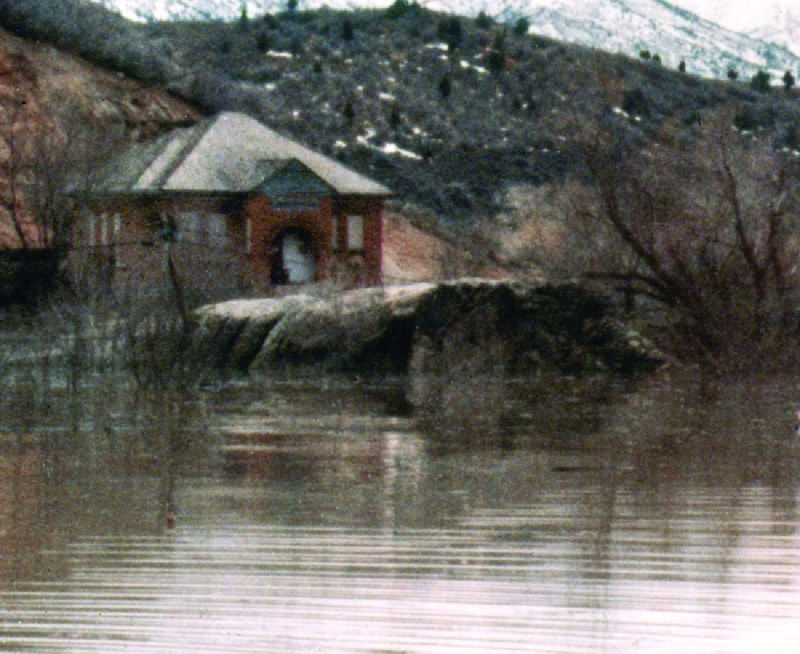 The Thistle landslide and “Thistle Lake” severed railroad service between Denver and Salt Lake City, flooded two major highways (U.S. 6 and U.S. 89), devastated the town of Thistle, and resulted in Utah’s first Presidential disaster declaration. 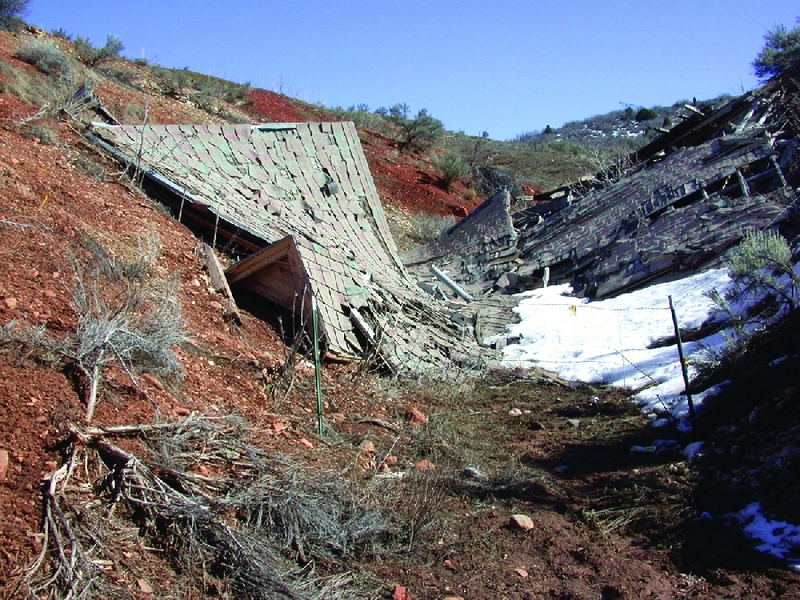 Direct damage exceeded $200 million (in 1983 dollars), making Thistle the most expensive landslide to date in U.S. history. 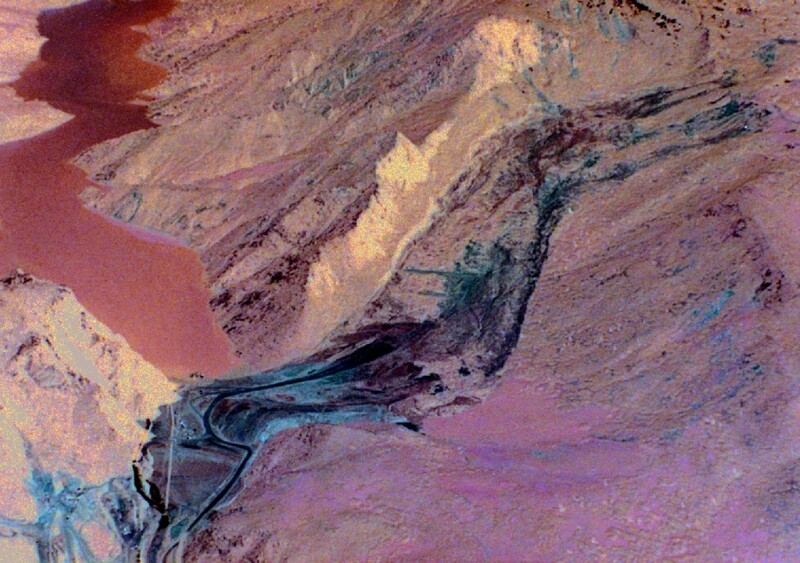 The 1983 landslide consisted of detritus from the North Horn and Ankareh Formations that moved along a trough-shaped depression in deeper bedrock (a paleovalley). 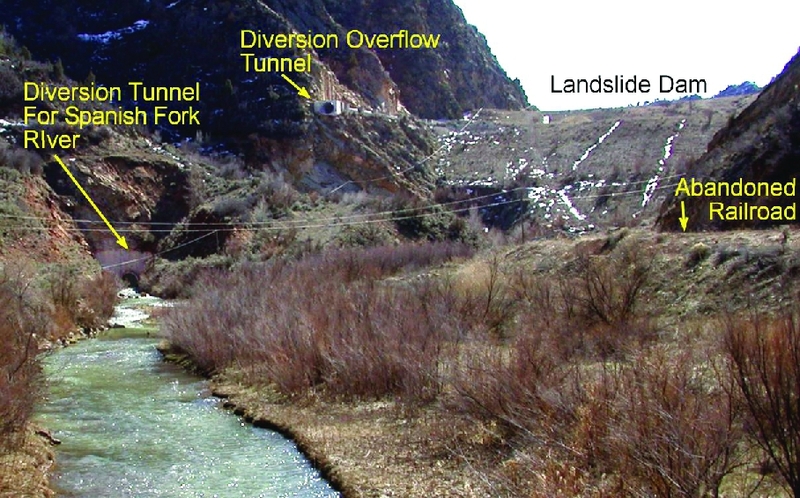 Landslides in Spanish Fork Canyon are nothing new. In fact, the area of the 1983 landslide has undergone repeated historical and prehistoric movement. 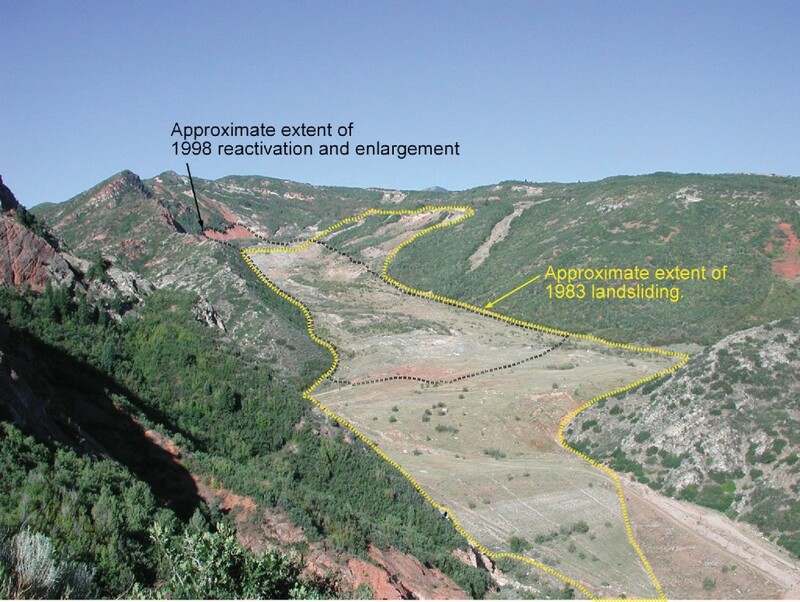 Furthermore, the Thistle Landslide and immediate area has continued to move intermittently since the 1983 wet year. Minor mudslides (earth flows) periodically occur near its flanks and head. Following a wet winter, almost the entire slide (except for the “dam” section) moved in spring of 1998. This 1998 reactivation also enlarged the head of the slide by an area about the size of several football fields. How to get there: Travel on I-15 towards the town of Spanish Fork. Take exit 261 and head east on U.S. Route 6/89. 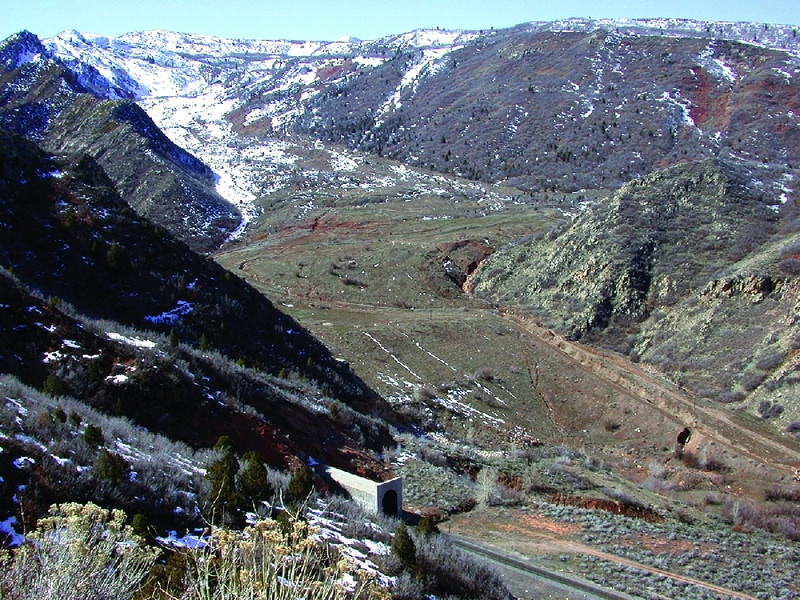 To view the landslide from the downstream side, turn right onto Spanish Fork River Park road after approximately 11 miles; otherwise, continue approximately 12.7 miles (from I-15) and turn right into the large pullout immediately before a massive double road cut. This pullout provides an excellent overview and interpretive signage. 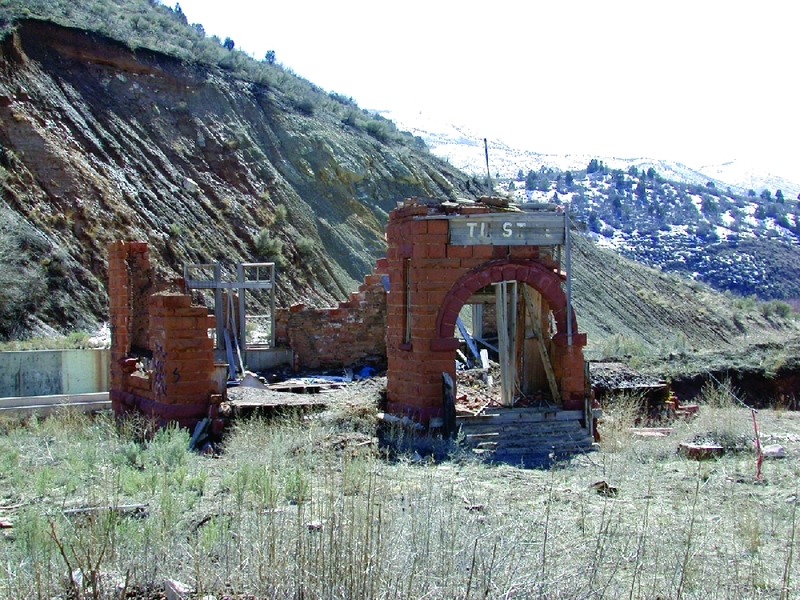 Approximately 1.5 miles past the pullout, turn right onto U.S. Route 89 and travel approximately 1.5 miles to the ruins of the town of Thistle and more interpretive signage.